Benjamin Harjo Jr. (Seminole/Absentee Shawnee) enrolled in the Institute of American Indian Arts in 1966 and completed his AA degree before serving in Vietnam from 1969 to 1971. He returned to school and completed his BFA at Oklahoma State University in 1974. 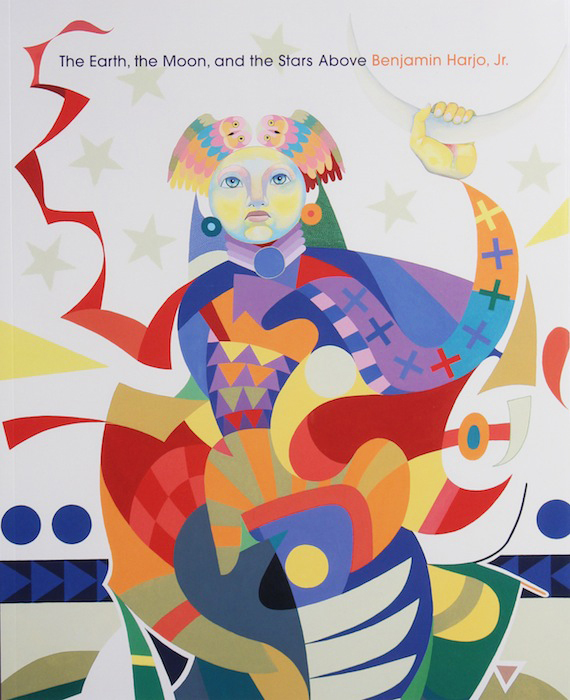 Harjo is perhaps best known for colorful abstractions with minimal reference to the human form, either painted or printed as monotypes. These images are extraordinarily detailed and precise, and Harjo still prints monotypes one color and one small field at a time by rubbing with a kitchen spoon. Harjo is also a master draftsman with pen and ink, and some of his most serious images are in this medium. This exquisite catalog documents a major retrospective at the Wheelwright in 2004.